The Board of the Edmund Rice Centre WA is currently advertising for the position of Chief Executive Officer. 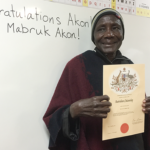 The Edmund Rice Centre WA has a proud history and an on-going commitment to assisting people from refugee and migrant backgrounds, as well as Aboriginal and Torres Strait Islander people. Established in 1998 to provide essential settlement services and community education activities in the northern suburbs of Perth, the Centre services have expanded more widely throughout the metropolitan area with a particular emphasis on young people and youth leadership as a way of ensuring a positive future for all. The Edmund Rice Centre WA is recognised as one of Australia’s leading service providers by community groups, government and other agencies in the field. 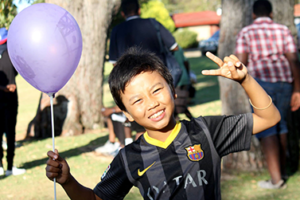 The Edmund Rice Centre WA provides generalist casework, referral and advocacy services to Humanitarian Entrants who have been in Australia for less than five years and who live in the north metropolitan area. Education is the cornerstone of the Edmund Rice Centre philosophy. Education removes barriers to equity and promotes the benefits of multiculturalism to the wider community. Our youth services began in 1999 with a Saturday youth leisure program for newly arrived children from a refugee background. This was expanded to include a weekday sports session and in 2006 a youth leadership program was established, the Aboriginal children`s program began in 2003. We acknowledge the traditional owners of Wadjak country and their continuing connection to land, sea and community. We pay our respects to elders both past and present and to their stories that have sustained them over many thousands of years.